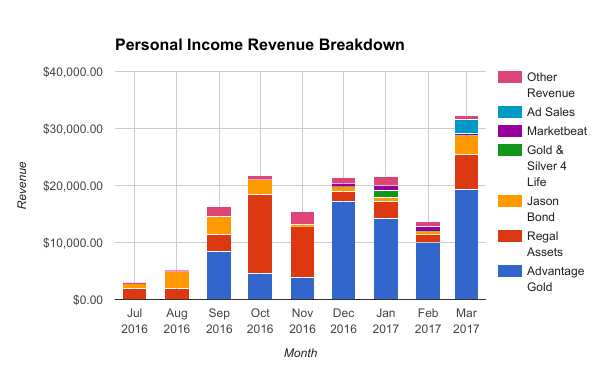 In July 2016, Wired Investors purchased Personal Income. We built traffic and revenue for the site, and in this article, we’ll pull back the curtain and walk you through the background, processes and results. 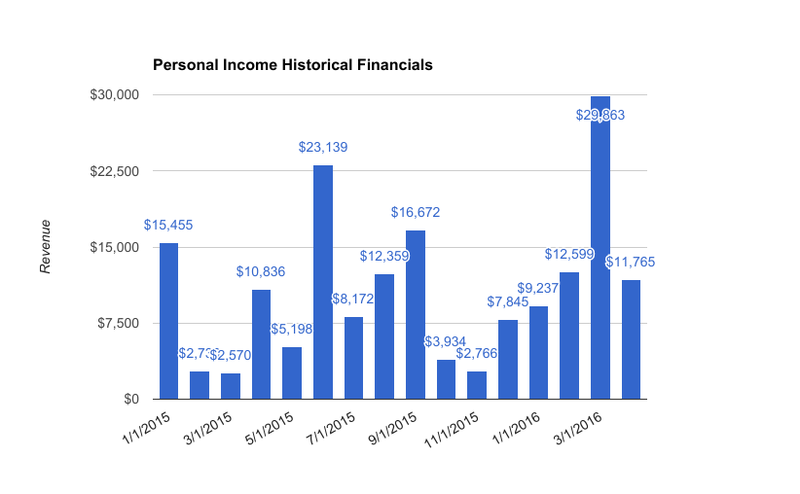 Personal Income is a retirement and investing blog that helps readers improve their finances via alternative investments strategies such as precious metals. Why we bought the website was due to several factors. First, it had a clean backlink profile. We didn’t want to take a risk on websites that might get slapped by Google. Apart from this, PersonalIncome.org was an aged domain, so to us, this was huge plus for pleasing the Google gods. 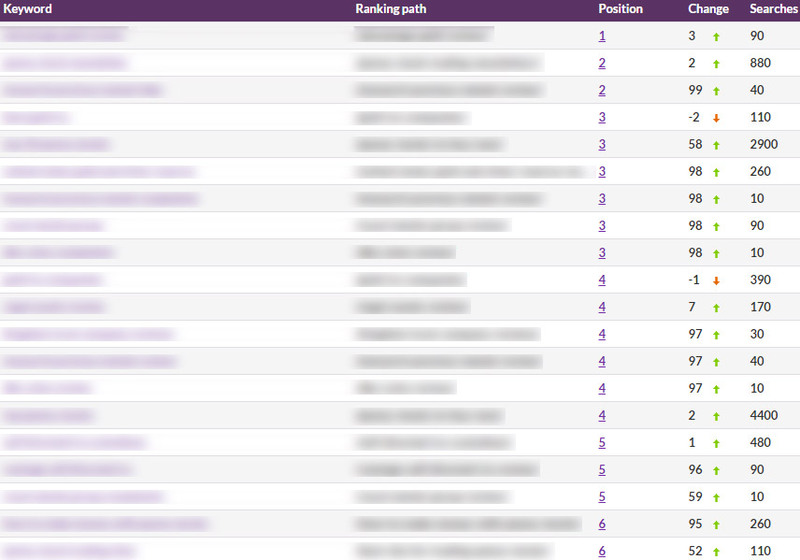 Not only that, it was already ranking for some notoriously competitive long tail keywords related to Gold IRA. Monetization-wise, it had an existing relationship with one of the biggest affiliates in the industry, Regal Assets, and a favorable custom payout rate with the affiliate. Lastly, we saw this as a good chance to expand into a new industry (finance). Of course, there were some risks as well. Most of its traffic (approx 84%) came from organic Google search. On top of this, 3 pages drove more than half of this organic search traffic. In other words, we were at the mercy of Google. If we lost the rankings for our keywords in Google, we’d be screwed. Another risk was that roughly 70% of the site’s revenue came from one affiliate program. If the program changed its payout, terms and conditions, or even worse, shut down, our revenue would take a beating. Something that differentiated this site from the rest of the sites in our portfolio was its lumpy earnings. To illustrate, here’s a snapshot of its historical financials from Jan 2015 to Apr 2016. Its revenue could swing from $3k to $30k per month, with the average average earnings per month around $12k. At the time of purchase, the site generated $146k in earnings the last 12 months. Our short term goal was to double the revenue within 6 months. And our long term goal was to ladder up and target increasingly competitive keywords (eg credit cards) in the finance space. We had our sights set on an eventual 8-figure exit. 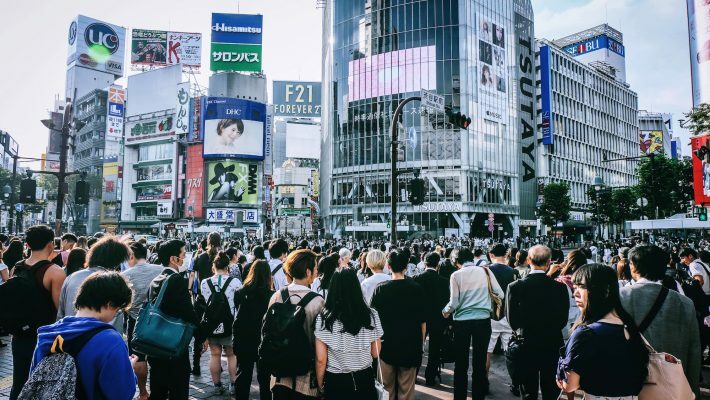 When we did our due diligence, we spotted several opportunities for growing traffic by adding more new content and link building. We could better monetize the website—there were many existing pages which didn’t have any affiliate offers/ads on them. Also, we could diversify our sources of revenue and instead of relying only on one affiliate program to be our main revenue driver. Being in such a competitive space, we wanted to get more backlinks to boost the authority of our site so we could target increasingly difficult keywords. We employed a white hat strategy for our link building efforts—infographics link building. The chart below shows how many infographics we created in the past few months. Although it didn’t seem like we created many infographics, we spent a lot of time and energy on promoting them. 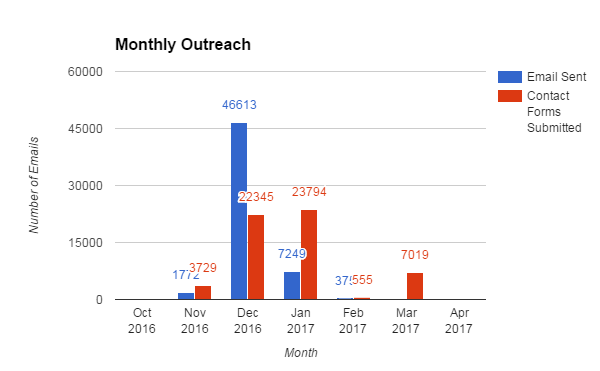 Here’s how many emails we sent and how many contact forms we submitted to contact relevant blogs and websites about our infographics. At the peak in Dec, we sent out and submitted 69k emails and contact forms in total! We created and sent customized introductions to every blog/site that expressed an interest in publishing our infographics. This was to make it easy for the blog/site owners to hit publish and remove potential excuses to procrastinate. Creating infographics and promoting them proved to be a huge success for us. Here’s how many links we got via promoting our infographics. On average, the links we got were of very decent quality. The Domain Authority (DA) ranged from high 20s to low 30s. Overall, our link building efforts paid off and we managed to get 300+ links in the past 6 months. This was in addition to the 250+ new links we got between Jul and Sep (not shown in the charts). Note: The data for Apr is not for the complete month but only 1-10 Apr. Many of these links we got in the past 6 months had an average Domain Authority around 30. 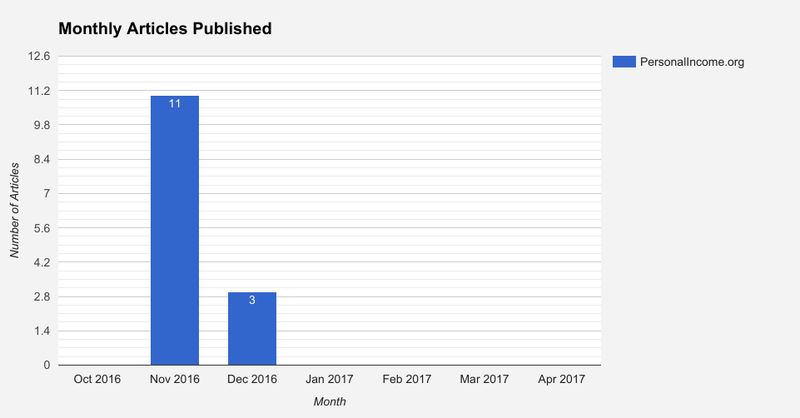 Because we focused most of our resources on link building, we didn’t publish many new articles on the site in the past 6 months. But we had already published 30+ new articles between Jul and Sep (not shown in these charts). These older articles included top list posts, which also served as a link magnet via the image link “badges” that influencers added to their home pages. 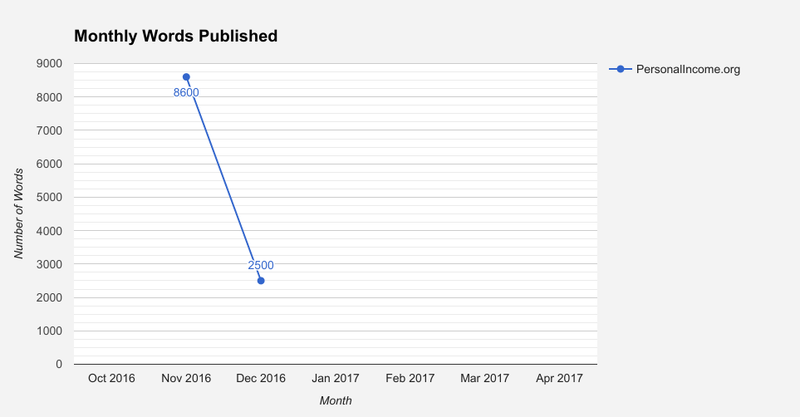 Each new article published in the last 6 months was around 800+ words long. We now occupy the top 4 positions for major finance keywords and we’re in the first position for a major finance affiliate review. We rank on the first page for stocks related keywords, jumping 50+ positions. Precious metals related keywords have jumped 90+ positions to rank on the first page. Here’s a screenshot of our Google Analytics dashboard. Since we bought the site in Jul, traffic had been on upward trend. 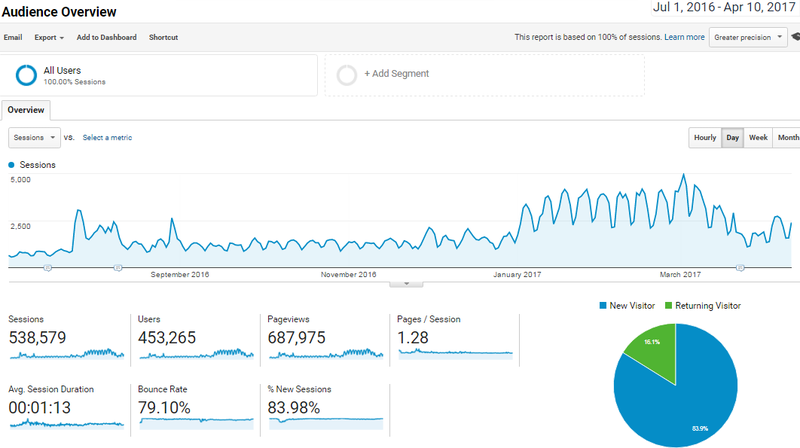 And we 3x the baseline traffic from 28,066 to 83,540 in Mar! Because the month is incomplete as of the time of writing, we don’t have figures for Apr. All baseline figures in the charts are based on the average from Jan to Apr 2016. There were many pages which did not have any affiliate links or ads on them so we added call-to-actions and soft sells on these pages with our affiliate links. To mitigate the risks of relying on one type of revenue stream, we started accepting direct pay per click advertising from Agora Financial on our penny stocks pages. We started with one page and because of our high conversion rates, the advertiser was willing to sponsor ads on other pages of our site. To avoid over relying on Regal Assets as our key revenue source, we established relationships with new affiliates like Advantage Gold and negotiated favorable affiliate commision rates. This had an immediate impact on earnings in Sep. 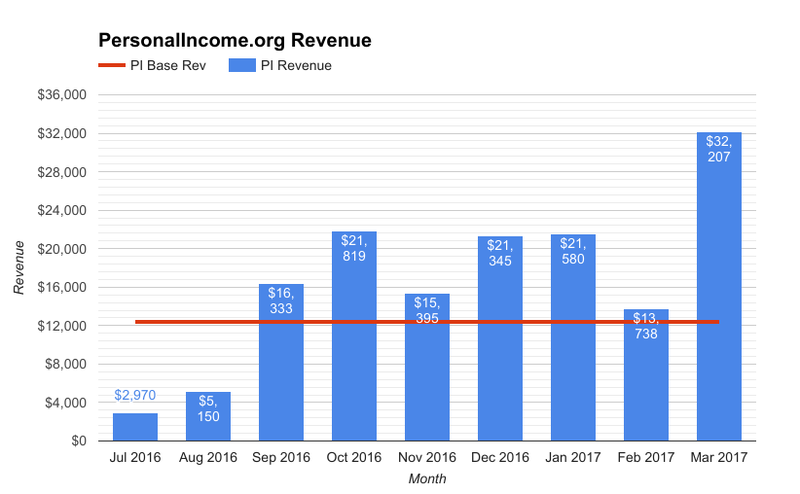 Thanks to the increase in traffic and the change in affiliate programs, we managed to 2.6x our baseline revenue from $12,389 to $32,207 in Mar. Earnings for one major Gold IRA program, Advantage Gold, increased substantially from Aug to Sep. This program has a higher commission than any other Gold IRA partner, and we increased earnings from this program even more in Dec by moving it into the #1 recommended spot on all Gold IRA content pages. 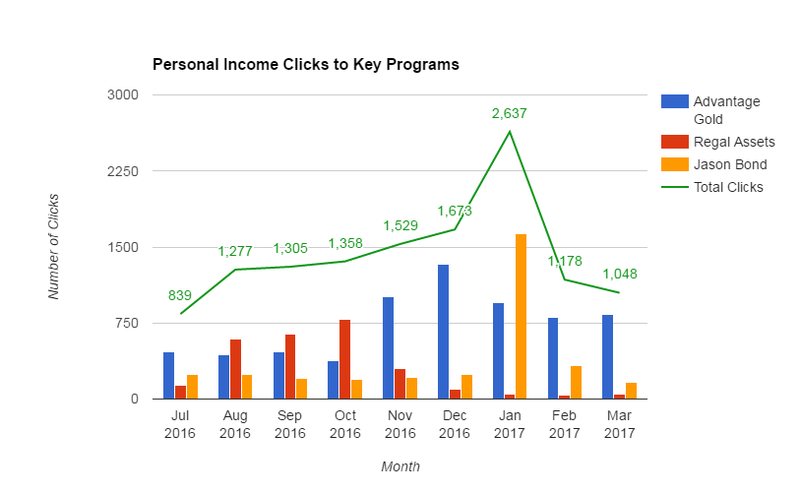 Earnings from the Penny Stocks affiliate programs were also strong, mainly from the Jason Bond picks program, which added a “profit maximizer” to their funnel. 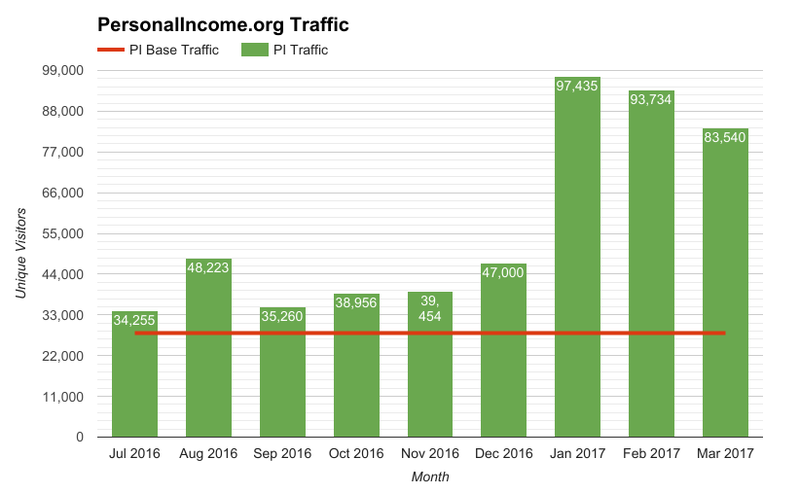 We saw a noticeable spike in Jan/Feb traffic and Mar earnings thanks to that launch. “Other Revenue” here refers to revenue from all other affiliate programs added up together. 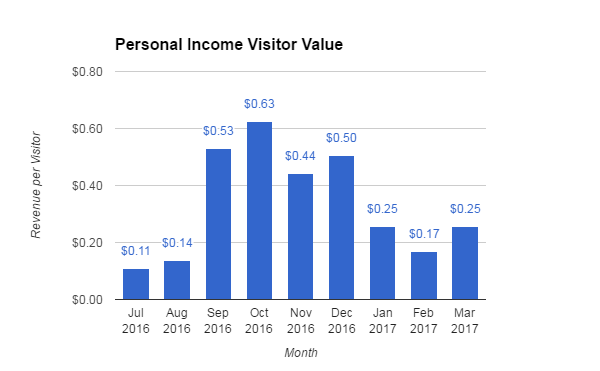 By joining new affiliates that had a higher revenue per visitor (RPV), we also managed to 2.3x our visitor value from $0.11 in July to $0.25 in Mar. in 8 months. The site is now earning $30k/mo. Moving forward, we’ll optimize the page and site layout for more advertiser and affiliate clicks. Our goal is to target increasingly competitive keywords (eg credit cards) in the finance space. We’ll do this by adding new content and links at scale in the coming years. Eventually, we aim to have an 8-figure exit. We’re always on the lookout for good businesses that want to be great, and we’ve got the experience and infrastructure to create a custom team of fulltime and freelance experts to improve businesses. You’ve built it and brought it this far, if you want to grow, let us help you take it to the next level. If you think you have a great business and need a partner, contact us.